For those who wish to turn their ideas into reality in the sphere of business and trade, the recent advancements in information technology is regarded to be quite profitable and highly beneficial. With increased internet accessibility, most people have resort to using smart mobile apps for their convenience. Ideal for the establishment of small businesses and sustaining the existing ones, such active mobile apps are much valued. In order to reach the global audience, having such smart mobile apps for business isn’t a bad idea and in a way is said to generate more revenue. With the help of active software like Andromo App Creator, creating such fast and active applications is no longer a difficult task. By selling it on Google Play, advertising and promoting a brand or service through such active servers the scope for revenue is increased. Hence what are you waiting for, when you can join the Andromo App Creator revolution and have the power to create apps without having much coding expertise. In order to create an Android app, the only thing that you are required to do is select a design. As there are several active online platforms that readily offers thousands of attractive and customised templates to select from, choosing the app designs is not exactly difficult. People can configure the apps with dropdowns and dashboards. After setting the desirable and suitable template, one is required to add the necessary information with regard to their company. What people are required to do is make the app more interactive for the customers. Few of the essential features that can be added to such apps are custom forms, reservations, coupons and calendar. Be it uploading the logo of the business or addressing the functionality and advantageous features of the company, the app builders, Andromo App Creator have to make necessary efforts to turn such portals highly interesting and unique. Since there is no coding required, one is easily able to manage the overall tasks and tools that are presented in the software. 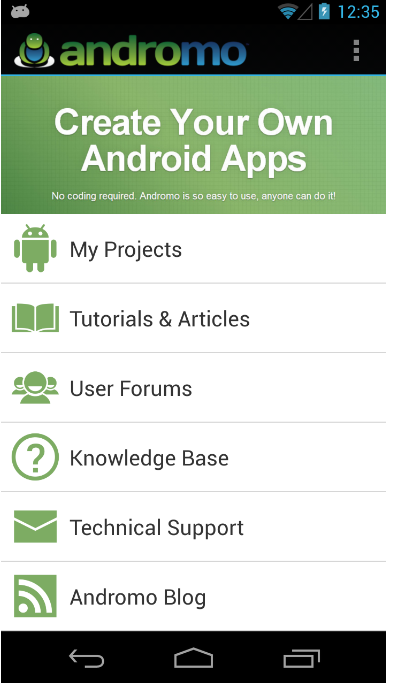 In order to create Android apps, interested users are not required to install Android studio in advance. It is might be beneficial to learn an object oriented program to control the overall flow of the setting and work well with the Android framework. With the presence of the popular Andromo App Creator, access to an android device may also be useful but not exactly essential. Anyone can become a creator of technology by building such smart apps. For creating a new project, people are required to choose a necessary application name and company domain in a new project file. Once the app builders reach the target Android devices, they are able to alter the default settings and apply suitable values as per the requirements. If needed, they can even customise the overall activity. As activities are considered to be the main content of the app, necessary efforts have to be made to transform the content and information. Adding content is regarded to be quite essential in order to target the audience. Hence you have to tailor the ‘activity types’ while you are creating an app for your business. To sum up, the app makers are able to manage their business in a proper manner. 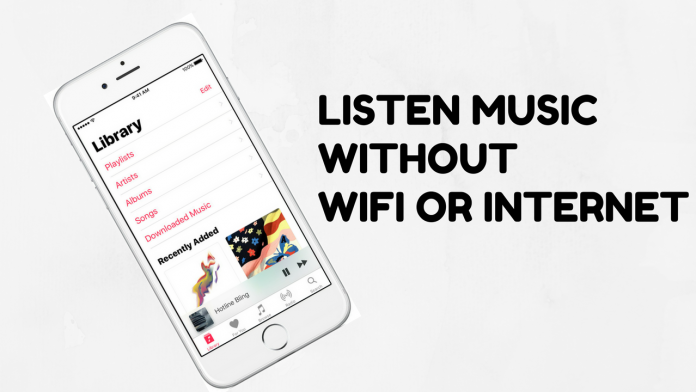 With the support of an Android app creator, people are able to publish it in I-tunes and Google Play. Be it QR codes, social channels and embedded links, such promotional tools can also be presented in such apps. For analytics and ad revenue, people are able to build up a wide audience and also earn money in the best possible way. Hence with less programming needs, people are now able to create fast and easy apps with the active support of app building platforms. 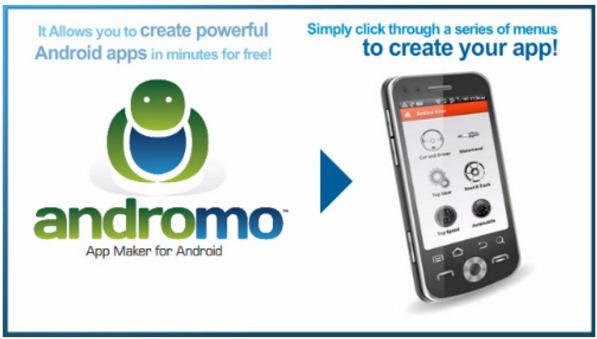 What they are required to do is sign up for free with Andromo App Creator with valid e-mail id and information and create suitable business apps. In order to establish a direct channel of marketing, creating such apps is equally important. By offering the necessary value to existing and potential customers, such apps are able to build a direct link with the clients in a successful manner. Whether it is with regard to special sale and promotions or offers, such apps are able to provide necessary updates to most customers. 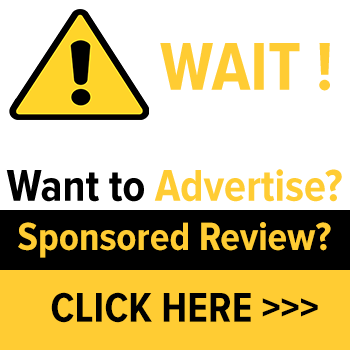 In such a way, they are able to be more visible and gain prominence as a reliable business online. It is the only way where you can get effective frequency and gain popularity. It is for such reasons that most people are opting to create easy mobile apps for Android devices. Hence apart from customer engagement, such smart apps are also useful for brand building and recognition. Another advantage of creating such apps is because they offer the necessary impetus and stays ahead of their competition. For companies and small businesses, having such dedicated mobile apps also works as an effective marketing strategy.